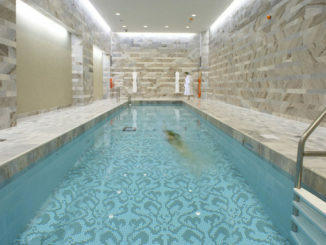 Without leaving Toronto you can feel like you’ve journeyed to an exotic oasis at the Miraj Hammam Spa by Caudalie Paris. Located on the fifth floor of the elegant Shangri-la Hotel, the luxurious day spa is inspired by traditional Middle Eastern Hammam and Gommage treatments and classic Moroccan design. The recent spa renovations add to the original charm of the Miraj Hammam and feature updates to the relaxation lounge, ladies lounge and treatment rooms including added space in the changing areas. Now more than ever the Miraj Hammam is the ultimate Toronto spa for escape. The Miraj Spa embraces old world tradition with its Hammam and Gommage treatments that have been nourishing and invigorating the body and soul for centuries. Here’s a mini history lesson: Hammam, also known as a Turkish steam bath, has influenced many modern bathing rituals and is probably the oldest surviving bath tradition in the world. 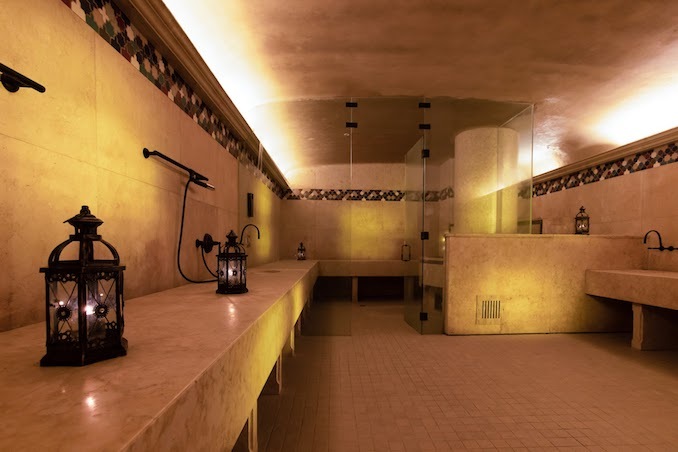 Here’s what to expect at the Miraj Hammam. The steam treatment begins in the high intensity and low mist steam chambers where guests recline on the Jerusalem gold marble counters. 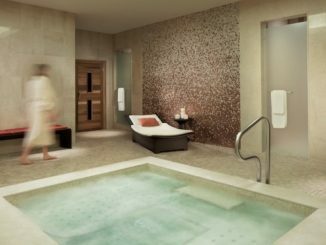 The steam and mist cleanse the body while stimulating the senses and imagination. The treatment is completed by a full body Gommage (exfoliation) using eucalyptus infused black Moroccan soap and refreshing shower rinse. 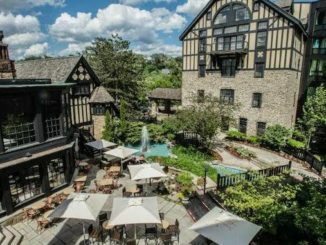 Besides this unique steam experience the spa offers deep tissue and hot stone massage, as well as facials using Caudalie Paris products, body wraps, waxing, and hands and feet treatments. The spa invited me to experience the Hammam and the new Aromatherapy Hot Stone Manicure and Pedicure. Entering the Miraj Hammam Spa feels like an escape from the norm. The interior design is enchantingly beautiful, I felt like I could have been in Paris, Marrakesh or Istanbul. Before visiting the Hammam steam chamber I relaxed in the co-ed lounge which offered hot tea, healthy snacks and something called Gemwater. This water was cool in more ways than one; inside the glass dispenser was amethyst and rose quartz crystals. Just off the lounge was a cozy outdoor patio with a fine view of the CN Tower. After sipping tea and browsing the latest magazines, an attendant took me to the Hammam to unwind in low mist steam (I wasn’t ready to conquer the high intensity steam chamber that day). After the steam and a cold shower, I was ready for my Aromatherapy Hot Stone Manicure and Pedicure in the newly renovated nail salon area of the spa. In the salon I was offered delicious Moroccan mint tea and a baklava snack. I liked the atmosphere, it was calm and unstuffy. To begin the mani/pedi I choose between two different aromatherapy essential oil blends for the hot stone massage. I went with the orange blossom oil. The pedicure began with my feet soaking in a lovely smelling Moroccan rose foot bath. Nails and cuticles were groomed, feet and legs exfoliated with Himalayan Salt Crystals and massaged with Hot Basalt Stones. The same steps were followed for the manicure (minus the rose bath bomb) and in both cases each treatment ended with a Vinylux polish application. I selected Married to Mauve for my toes and Salmon Run for my fingers. Since that manicure I have received many compliments on my hands and my friends love the salmon colour so much they want to copy it. How’s that for fabulous results! If you have never tried Hammam and Gommage, I dare you to escape into a new world of experience at the Miraj Hammam Spa. 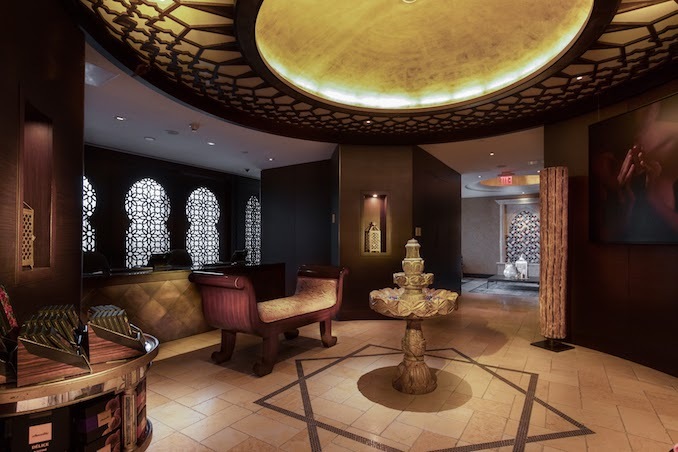 The Miraj Hammam Spa by Caudalie Paris is located on the 5th floor inside the Shangri-la Hotel Toronto at 188 University Avenue in downtown Toronto. Sophisticated and exclusive, the Shangri-la Hotel Toronto is a first class destination to connect and reside when visiting the city. From the opulent lobby to the elegant guest suites, amenities and personalized services, this is luxury hospitality unparalleled. Indulge body and spirit at the spa, browse upscale boutiques, dine in the internationally acclaimed Momofuku restaurant and experience one of Canada’s most important public art commission by China’s Zhang Huan.